Varicose veins are swollen, twisted veins that appear just below the skin. Although they typically occur in the legs, they can also form in other parts of the body. Veins have one-way valves that keep blood flowing toward the heart – if the veins become weak or damaged, the veins can swell and cause unsightly varicose veins. Although some varicose veins are strictly a cosmetic issue, they can also be the result of a serious, underlying disease. Varicose veins are easy to identify; in addition to the appearance of twisted veins beneath the skin, symptoms include aches, fatigue, swelling, burning, itching, restless leg syndrome, night cramps, and numbness. If left untreated, symptoms will get worse over time and complications, such as inflammation or vein obstruction, could limit or impede your daily activities. If lifestyle changes, self-care, or other varicose vein treatments haven’t worked, contact Vena Vascular today for more information about the diagnosis and treatment options for varicose veins. 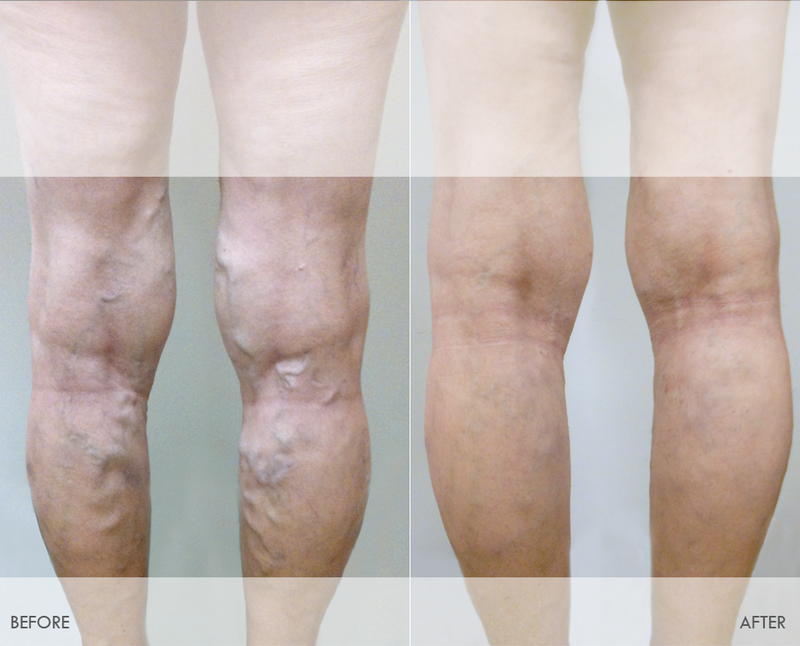 EVLA is an innovative, minimally invasive procedure that effectively cures venous insufficiency and its consequences. 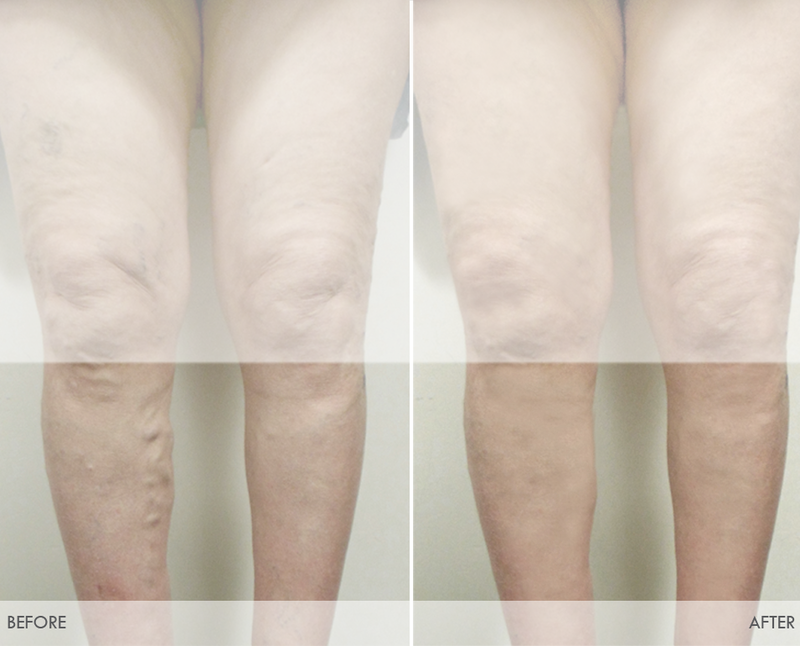 By treating the source – venous insufficiency – the symptoms of venous disease, including varicose veins, will disappear. Unlike painful conventional surgery, which is performed in a hospital under general anesthesia, EVLA is a safe and effective procedure performed in a clinic, and causing only minimal discomfort. No lengthy hospitalization or drawn out surgery preparation are required for EVLA, and there is no painful recovery period. To begin, our experts will meticulously assess your venous circulation with a Duplex ultrasound. Next we will make an accurate diagnosis based on the results of the ultrasound, and an individual and effective treatment plan tailored to your needs will be offered. Depending on the intensity of your disease, you may need to have one or more procedures on each extremity. A custom approach may be recommended, in which different forms of treatment, such as compression therapy, microphlebectomy, sclerotherapy, etc are combined with ablation. 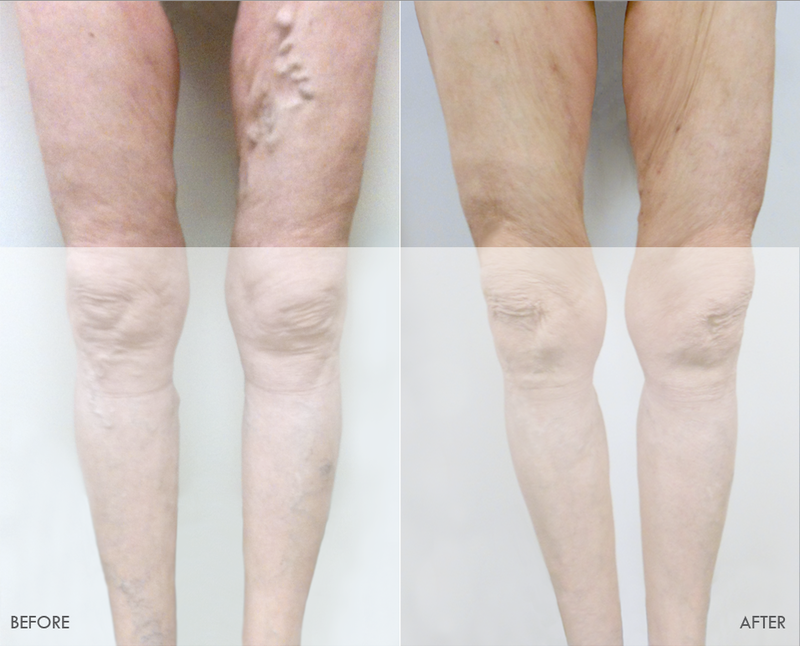 EVLA involves accessing and treating the diseased vein from within. Using real-time ultrasound guidance, the diseased vein is identified and a catheter is inserted into the vein. At this point, local anesthesia is injected around the vein, first isolating it from surrounding tissues and numbing the vein area. Once the vein has been anesthetized, the laser is activated and the problem vein is completely ablated. Finally the extremity will be placed in a compression stocking or wrapped with multilayer compression. 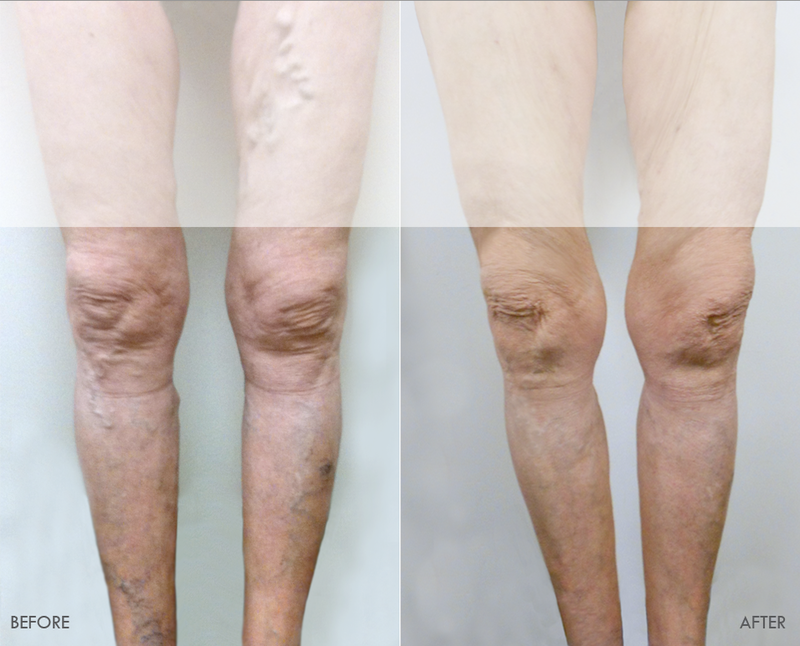 Unlike with surgical vein removal, the patient can immediately resume daily activities, work, and even exercise. In fact, we encourage physical activity. Walking or jogging after the procedure can contribute to a faster recovery and decreased bruising and discomfort. Three days after the procedure you will return to our clinic so that we can examine the results of the treatment and assess further plans. Mechanochemical ablation is another new, revolutionary, safe, and effective treatment option for diseased veins. It is a good alternative or addition to EVLA or RFA (radiofrequency ablation), particularly in patients who are averse to local anesthetic, or when the diseased vein is in close anatomical proximity to nerves, arteries or other important structures. Initially we will assess venous circulation utilizing real-time Duplex ultrasound to diagnose. Next we will decide the plan and the means of treatment. Mechanochemical ablation involves accessing the affected vein from within using the standard needle and guide wire technique, combined with a real-time ultrasound. Next a catheter is placed inside of the affected vein. At this point the catheter is connected to the motorized handle of the Clarivein device. The motorized device rotates the tip of the catheter inside of the vein complemented with injection of agent called sclerosant, which causes the diseased vein to close. The whole procedure is performed in our clinic and takes 20-30 minutes. Afterward, the patient will be dressed in compression stockings or a multilayer dressing, and can resume daily activities immediately. Much like after an EVLA procedure, patients can resume their daily activities immediately. No major pain, discomfort or restrictions are expected after treatment. Patients usually come back to the clinic three days later for reassessment of the results. 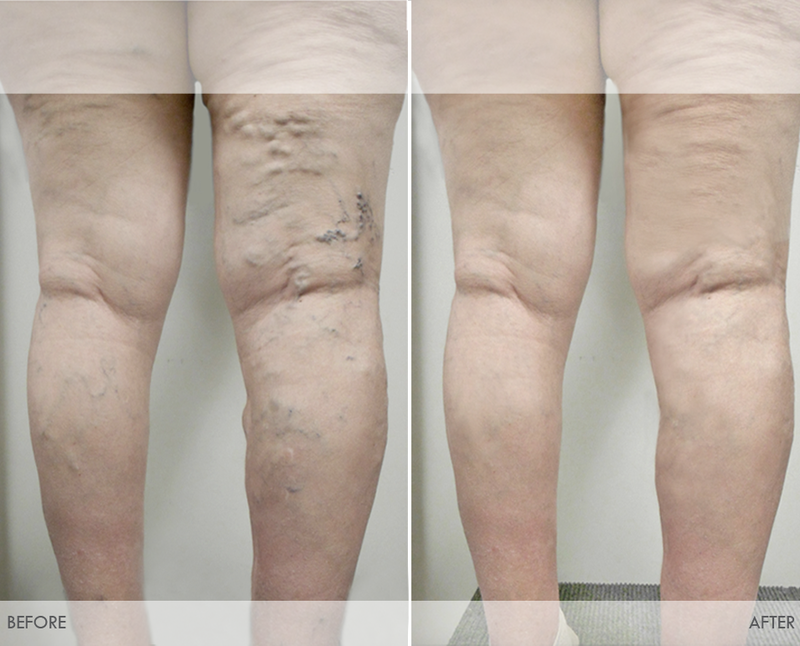 Another minimally invasive procedure that effectively cures varicose vein disease. Unlike EVLA, RFA is suitable for both main veins as well as so called perforator – smaller but very important veins that connect main veins (deep and superficial systems). Treating perforating vein is very important addition in order to acheive optimal successful results. Otherwise, If perforating vein remain untreated, can be source of incomplete recovery or persistent symptoms. Depending of intensity of your disease, you might need to have one or more procedures or complex treatment where we will combine other treatments. 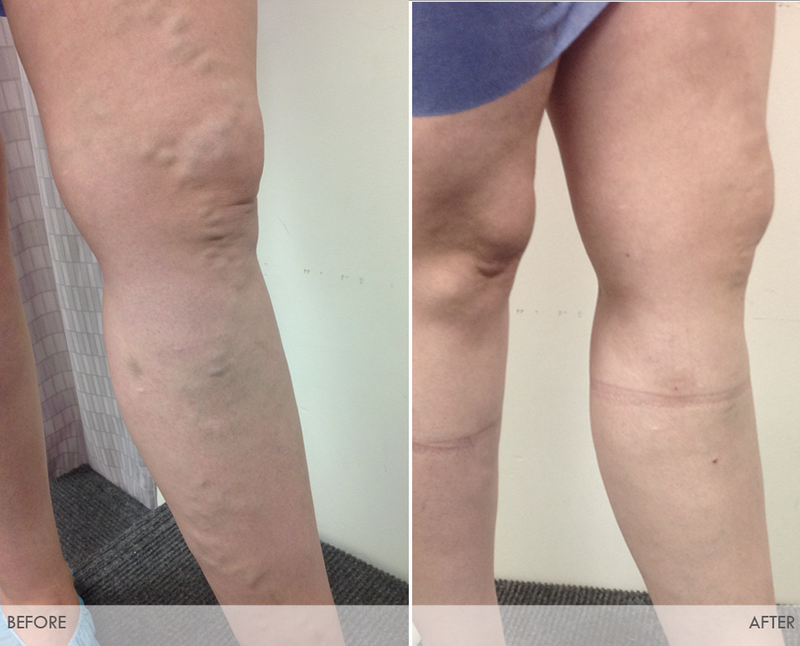 Same as with laser treatment, RFA is involved treating the vein from inside, so no cuts or incision are made. Using real-time ultrasound guidance, the diseased vein is identified and a catheter is inserted into the vein. Local anesthesia is injected around the vein, first isolating it from surrounding tissues and, then, making vein area numb. Once the anesthesia has reached the vein, the radiofrequency is activated and ablates the treated vein from inside. Finally the extremity will be placed into compression stocking or wrapped with multilayer compression. Virtually there is no recovery period involved with RFA treatment. Most of the patients will get back to their daily activities immediately. In addition, RFA treatment is significant for no pain and bruising. However, like with most other treatment forms we encourage physical activity, walking, etc along with some other post-procedure recommendations for optimal results. Third day after procedure we will call you to our clinic to check the results. Varicose veins	Overall rating:	5	out of 5 based on 17	reviews.